Most Duplicates, obviously broken images and the post-landing images have been removed. 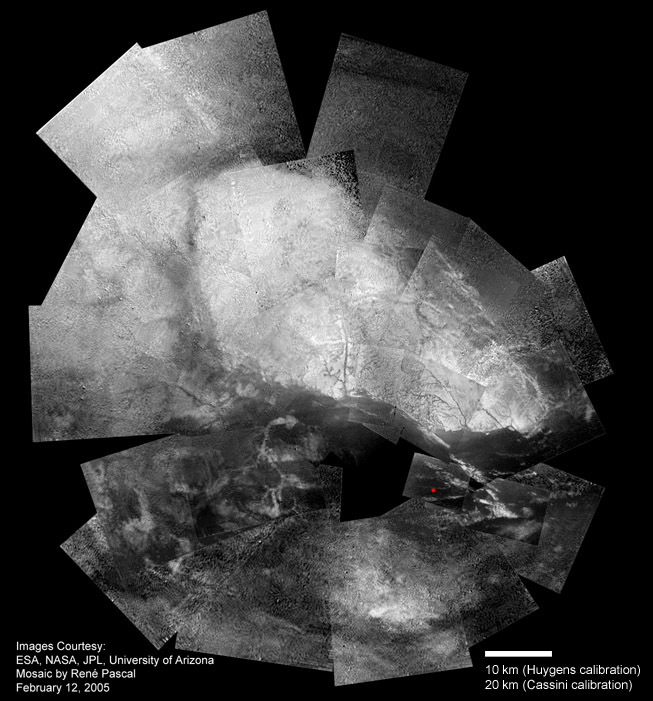 The images from the Medium-Resolution Imager exhibit some brightness variations that show up on all frames, especially if the original images have low contrast as the ones obtained while Huygens was still high in the hazy atmosphere of Titan. These brightness variations are artifacts by the DISR optical system, in principle every CCD optics has these artifacts, and after 7 Years in space it is to expect that the conditions of the system alter. 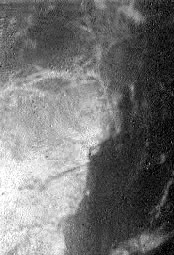 I used the very early images that show nearly no surface features because Huygens was still high in the hazy clouds (raw image numbers below 200) to make a flatfield of the DISR Medium-Resolution Imager. 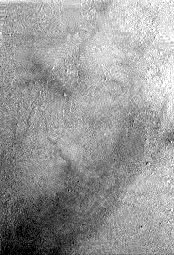 All useable images were stacked (Giotto) to mediate out any remaining brightness variations from Titan surface structures. The following examples give an impression on the effect of the flatfield correction (Giotto). 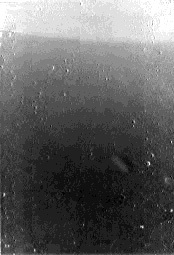 Small artifacts (dust particles or radiation damages of the CCD) are less effectively corrected; this may be due to the JPEG compression algorythm. For a flatfield correction do not use the JPG compressed flatfields, but the original flatfield images in TIFF-format (see below). frames are dominated by optical path / CCD artifacts, and should give a usable flatfield. Obviously damaged images in the given intervals were removed before stacking the images. with Titan surface structures in the higher numbers. Titans atmosphere as the first images were obtained. corrected images, but in should contain virtually no surface structures. 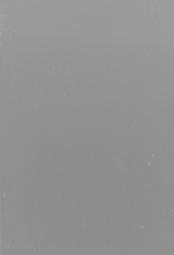 Flatfield stacked from images 100-319 with obviously damaged images omitted. mainly a vertical brightness gradient is corrected. also result in an overcorrection at individual frames. a critical look at the uncorrected frames! more or less the natural brightness gradient of the SLI images when correcting them.